Guest blog post by Acting Under Secretary of Commerce for International Trade Ken Hyatt. Cross posted from ITA's Tradeology blog. We at the Department of Commerce produce a lot of numbers, but we always try to see behind the export numbers into what they create – jobs, growth, and development. It was easy to see behind the numbers today, as I joined Secretary of Commerce Penny Pritzker to recognize and congratulate 65 companies and organizations that have supported the expansion of U.S. exports. These companies and organizations earned the 2014 President’s E Awards, the highest honor bestowed upon those that are committed to expanding the U.S. economy through exports. 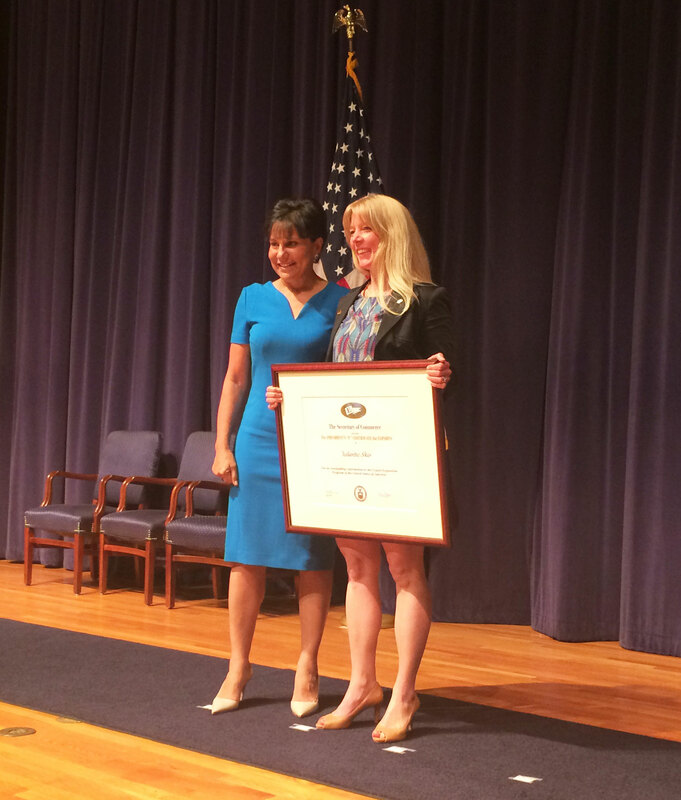 The awardees include an assortment of small and medium-sized businesses in a variety of states and business sectors. From Kansas-based Pioneer Balloon Company to California-based Robinson Pharma, both of which have expanded their exports with support from U.S. government agencies including the Department of Commerce. Guest blog post by the International Trade Administration's Deputy Assistant Secretary for Services Kenneth E. Hyatt. If you haven’t heard the news, the U.S. travel and tourism industry is on pace for a record-setting year of creating American jobs and growing the economy. In fact, a new report (PDF) released today by the Outdoor Industry Association shows the impressive impact of America’s outdoor recreation on the economy. The study found that the outdoor industry has created 6.1 million jobs nationally and puts $646 billion into the U.S. economy each year. 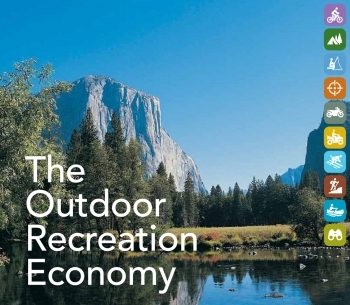 The study also shows that each year, three out of four Americans participate in active outdoor recreation—activities like fishing, hunting, hiking, running, swimming and camping all contribute to refueling the economy. This new study comes on the heels of new Commerce Department data released last week, which showed that international travelers are spending more while visiting the United States—and that the receipts for U.S. businesses are reaching record highs. International visitors spent an estimated $14 billion on travel to, and tourism-related activities within, the United States in April 2012—$1.5 billion more (or a 12 percent increase) than was spent in April 2011. International visitors have spent an estimated $54.6 billion in 2012 so far, which is an increase of 13 percent when compared to the same four-month period last year.